We've put together a list of the top-selling 6 Maui guidebooks to help you enjoy your next trip here. Some have great restaurant info, activities and more, and others take liberties by sharing culturally sensitive spots that upset the local community. 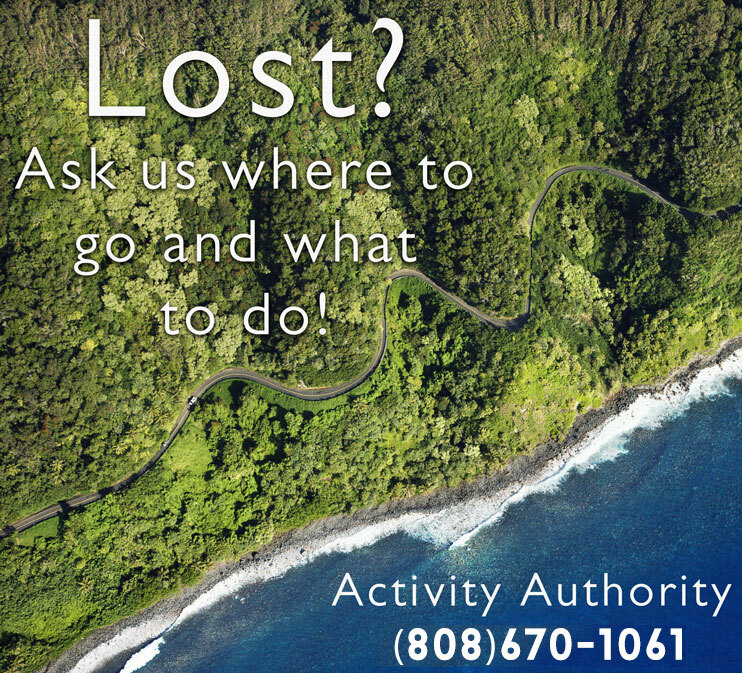 Call (808) 670-1061 for recommendations from a local Maui resident. 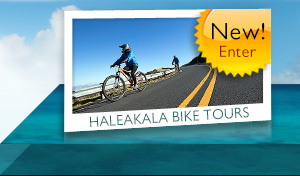 Also, check out their list of curated best Maui Activities. The following list shows the best and worst Maui guidebooks online and links to find them at the lowest prices. Prices updated April 2014. OUR MOST RECOMMENDED MAUI BOOK! The most recently updated Maui Guidebook, This Moon Maui Handbook is a great resource for those looking to vacation on Maui for the first time or the tenth. 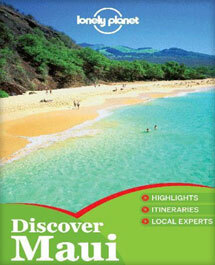 It has thorough, well written information about the most popular and lesser known spots on Maui, Molokai & Lanai. 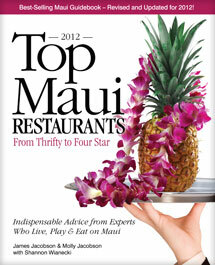 Top Maui Restaurants 2012: From Thrifty to Four Star: Independent Advice from Experts Who Live, Play & Eat on Maui. This full-color guide reveals the island’s beaches, sights and off-the-beaten track adventures so you can discover the real Maui. It’s easy to plan a vacation for any interest using the book’s Top Experiences and Great Itineraries sections and tips for families and for weddings and honeymoons. OUR LEAST RECOMMENDED MAUI BOOK! Best-selling author, Andrew Doughty, shares local secrets of an island so lush and diverse that many visitors never realize all that it has to offer. We don't like recommending it because most local we know don't agree with what is shared in this book. 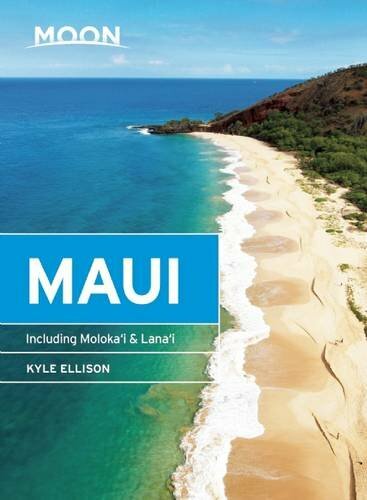 Kyle Ellison's Moon Maui Handbook is a great resource for those looking to vacation on Maui for the first time or the tenth. With thorough, well written information about the most popular and lesser known spots on Maui, the Moon Maui guide may be your best bet for well known activities as well as some you haven't even considered. We particularly enjoyed the "Best of Maui in 10 Days", which gives you a realistic and well-paced agenda of what to do and see on your vacation, including time for relaxation, exploring the Road to Hana, and even the best places to grab brunch. You definitely get the feeling Kyle has followed his own 10 day agenda many times and provides great suggestions to begin and end your trip on the perfect note. If you're into a more go-with-the-flow approach to your Hawaiian vacation, Moon Maui also outlines the best of attractions so you can decide when, where and what to do based on your interests, including the Best Beaches, Best Snorkeling & Diving, Best Surfing, Best Hikes Best Outdoor Adventures, Best Historical & Cultural Sites and Best Activities for Honeymooners. Since many vacationers only pass through Upcountry Maui on the dark, early morning drive to reach the top of Haleakala Volcano, it's refreshing to see such a thorough section about this lesser visited, beautiful area of the island, including nature trails, yoga studios, spas, farms, gardens and historical sights. You can definitely tell the author has spent lots of time exploring both the current and historical gems of the island, including those on neighbor islands Lana'i and Molokai, and offers little-known tips and useful information that Maui residents have mastered over the years. While the black and white photos that make up most of the book may not look as pretty as some of the other guidebooks, the information is what's important, and we definitely recommend it for an-depth look into life in paradise. Of course you've probably already heard about this blue book called Maui Revealed the Ultimate Guidebook. Part of a series of books on all of the Hawaiian Islands, Maui Revealed is a thorough guide to the island and it's many once-secret locations. 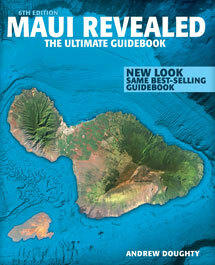 This guidebook is detailed and covers the entire island of Maui. We highly suggest, when following this book, to stay out of areas that are private property. Maui Revealed will tell you about these spots and only briefly mention the illegality of going there. Many local people hate this book because it explains where to go near their homes to find the best beaches, waterfalls, and views. With accurate maps of the Road to Hana, Maui Restaurants, and descriptions with directions of the Best Maui Beaches, the Ultimate Guidebook is a helpful companion for your Maui vacation. 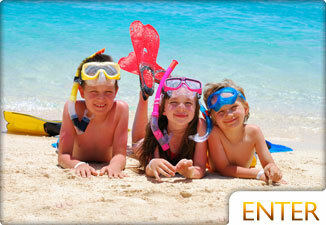 A quality guide to Maui for both family visitors as well as adventurous outdoor vacationers. 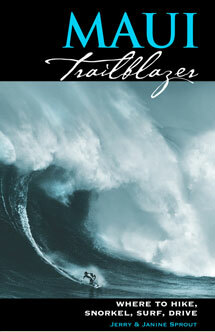 The Maui trailblazer covers in detail the best spots to hike, snorkel, surf, boogie board, kayak, as well as restaurants and Maui accommodations. 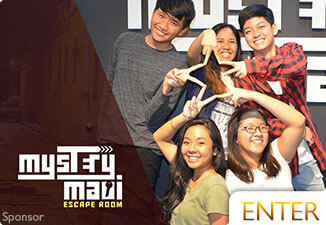 In the kids section, the Maui Trailblazer also focuses on families with young children. Refreshingly candid about what is touristy and what is not, Frommer's honestly goes over Maui with a fine comb. 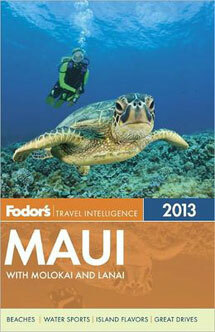 With information on Maui and Molokai, Frommer's does not disappoint. This Maui guidebook goes over the Road to Hana mile by mile, much like Maui Revealed. The hotel reviews are in-depth and extremely helpful. A major plus to this Travel Book is that it's updated every year so you know the descriptions are accurate. Fodor's is also an expert on travel and it shows with this quality publication. 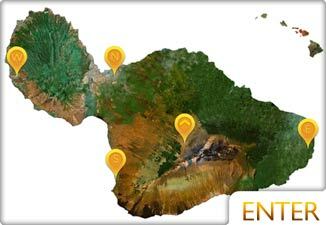 It goes over the neighboring islands of Molokai and Lanai as well as Maui to help you get the most out of the county. 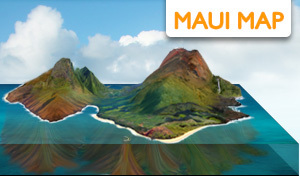 The Maui Beach maps and places to stay in Maui are helpful. This guide is smaller and easier to read than the others. This is a well-written Maui Travel Book with expert advice on finding the best Maui beaches, most romantic spots, and excellent places to eat. This guide goes over lodging as well as activities for any budget range.